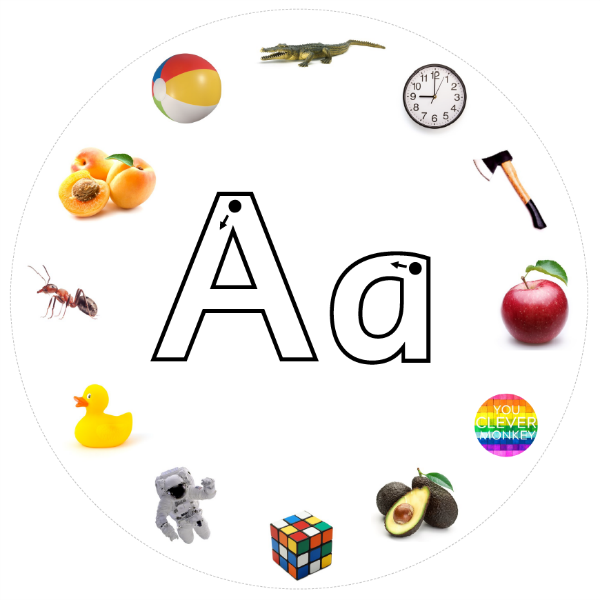 Ready to print, these alphabet wheels are perfect for preschoolers or primary aged children learning their beginning letter sounds. 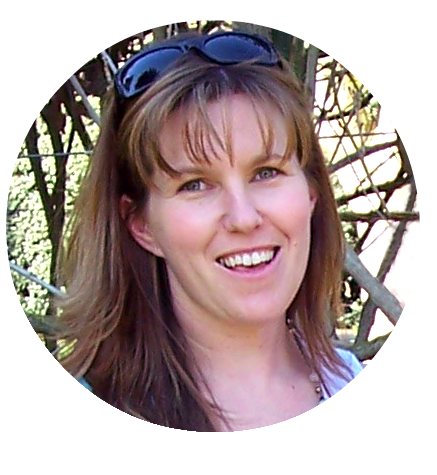 As a classroom teacher, I'm constantly looking for those areas that my students need further exposure too. One concept my class still needs is more opportunities to practice differentiating between initial letter sounds in words. Since working in schools, I've used literacy centres or literacy centers (if you live in other parts of the world) in my classroom. 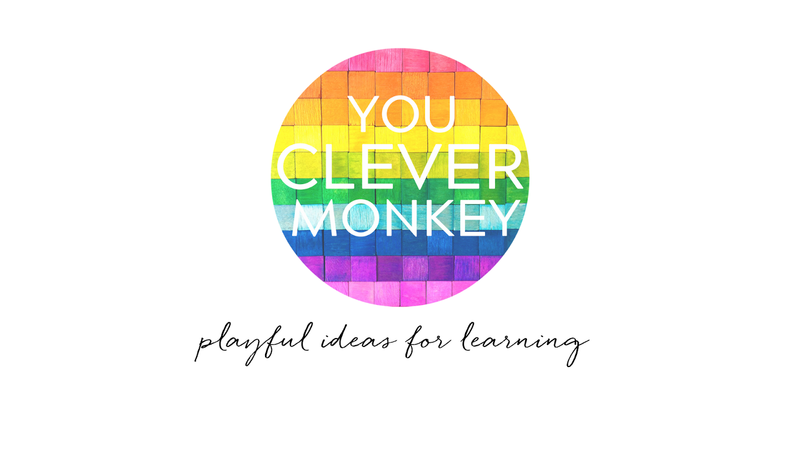 Because they're a fun, often hands-on way to engage young children in practicing early literacy concepts in a smaller group setting. 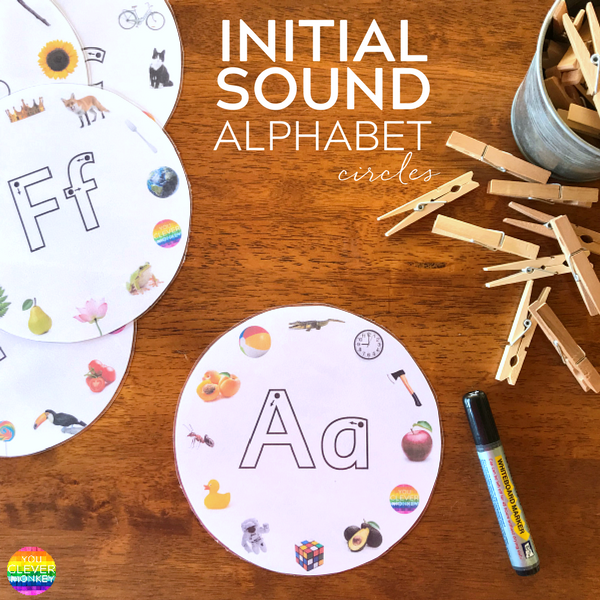 Knowing some of my students are still learning to identify beginning letter sounds, I've recently created these new initial sound alphabet circles for our literacy rotations. in large clear print and there is a individual mat for every letter of the alphabet. To use them, I encourage the children to firstly trace each letter with their finger. 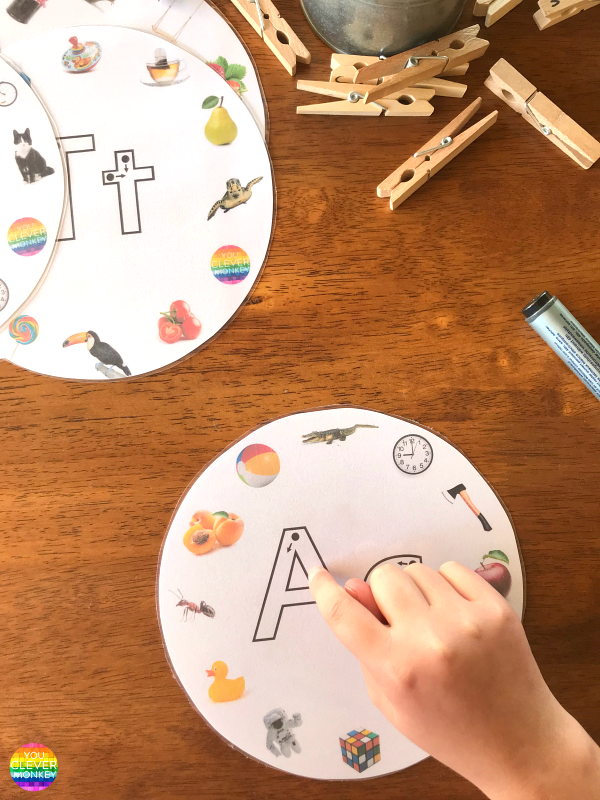 After tracing the letters with their finger, they can then trace each letter with a whiteboard marker using the prompts in the letters to help them with the correct letter formation. Laminating the cards helps protect them for longer in a busy classroom but also allows us to write on them when we want. Many children are still not confident recognising upper case letters so while we use these printable cards to target that in our literacy centres, having the upper and lower case letter on each card help reinforce this again. 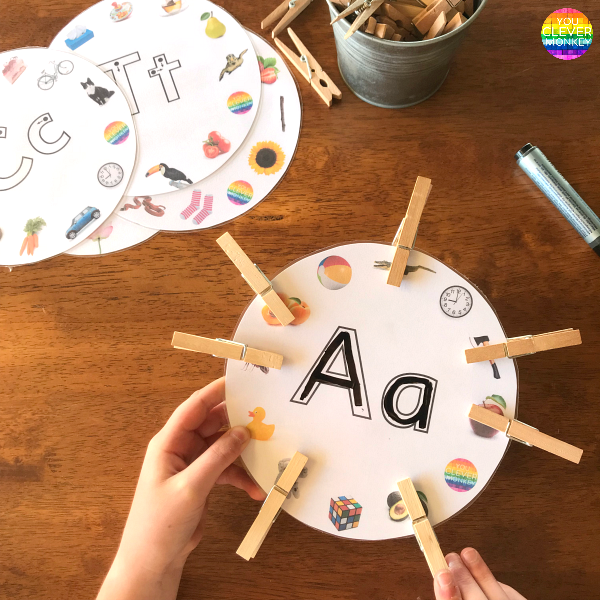 After practicing their handwriting, the children can then work on identifying the words that share their beginning letter with the one feature on the card. I encourage my students to say each word aloud to themselves quietly to see if they can hear the same initial sound each of the letters makes in words. We're often trying to build up fine motor strength and control in the first years at school so once the children find the match, they can place a peg over that picture. 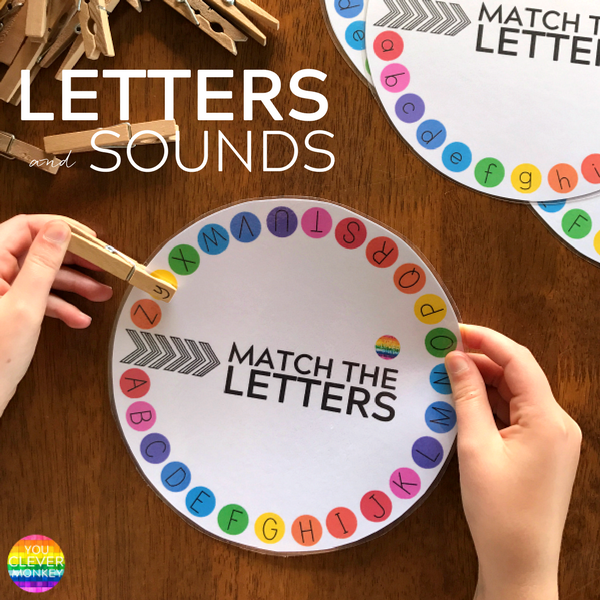 Each card includes a few words that don't start with the targeted sound which means children to differentiate between the sounds before deciding on the correct sound. 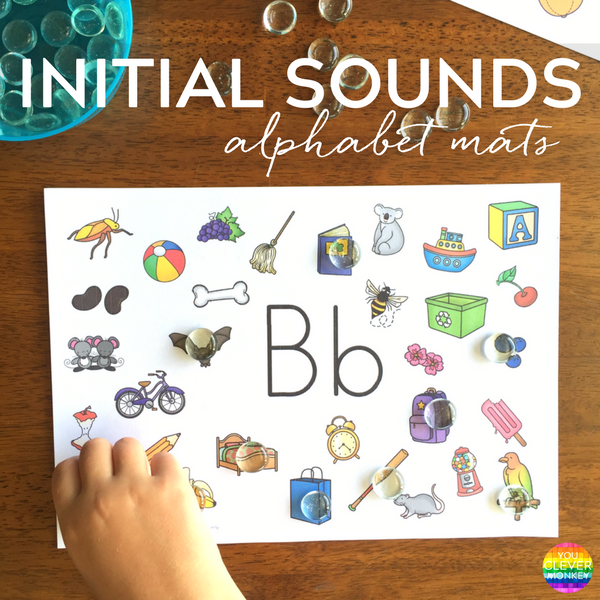 Our initial sound alphabet mats do the same task but require children to choose between even more sounds.These beginning letter sound circles are a nice transition from our initial sound cards to our initial sound alphabet mats. 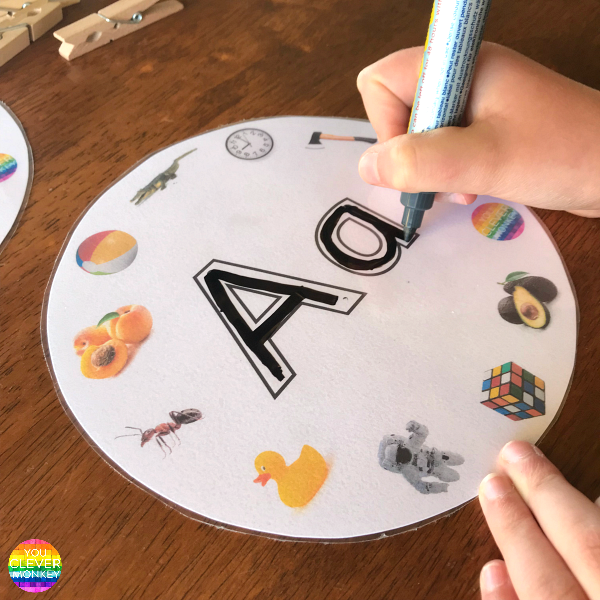 26 alphabet full colour mats with traceable upper and lower case letters for every letter of the alphabet, full colour photos use throughout.